Display Bright red LED 0.5", 0.8"
With our rich industry expertise, we are offering a wide range of Process Indicator Model 408, which is manufactured in line with set industry standards. These are provided with RS-485 communication port for SCADA applications and housing to ensure protection in corrosive and hazardous atmosphere. Our range is designed in such a manner, which accepts linear & non-linear inputs. Bright red LED display 0.5", 0.8"
Display Bright red LED display 0.5", 0.8"
The extensive range of Temperature Indicator Model 405 offered by us is equipped with RS-485 communication port for excellent SCADA applications. 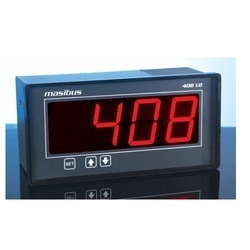 The Indicator is highly accurate and has a stable 4 digit display to ensure better functionality. These are microcontroller based having full software/hardware calibration. 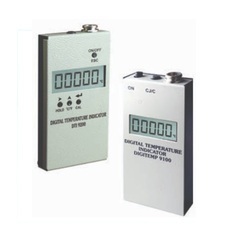 We offer our clients a wide range of Digital Temperature Indicator - DTI 9200, which is develop in line with the latest technological advancements. These are micro-controller based, micropower, which is a general purpose thermometer. Our range is designed in such a manner, which makes these perfect to be used with J, K, T, R, S, & RTD – PT100 type sensors. 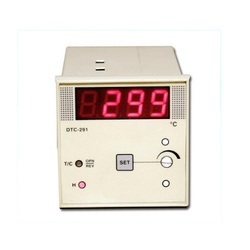 The comprehensive range of On / Off Temperature Controller Model H3tx – U offered by us is manufactured in line with international quality standards. These are equipped with automatic cold junction compensation and elegant enclosure with protective cover to ensure the safety of the user. 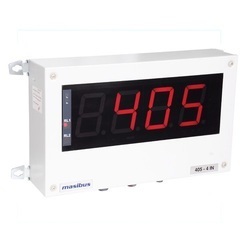 The indication for relay status and sensor failure is display in the unit with utmost accuracy. 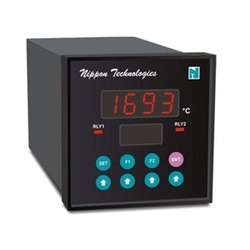 Our organization is involved in offering a quality range of Temperature Instruments Model EX9 - 2H – U, which is widely used in numerous industries. These are heater type controllers, which is available in various standard size and shapes. Temperature Instruments are sensors, which are used for the desired temperature control range with accuracy. 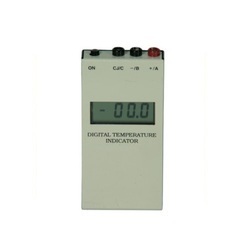 Our organization offers a comprehensive range of Digital Temperature Indicator - DTI 9100, which is designed to interface with specified T/C or RTD sensor. These Indicators have quality proven circuits, ruggedness & reliability of 16 years of our operation. Our range can incorporate signal conditional module and provided with an A/D converter with LCD display using low power instigated circuits. Further, Span and Zero adjustments are also provided inside the instruments to ensure better functionality.